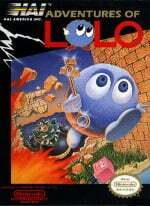 Before HAL labs created our favourite pink puffball named Kirby there was a blue blob by the name of Lolo. 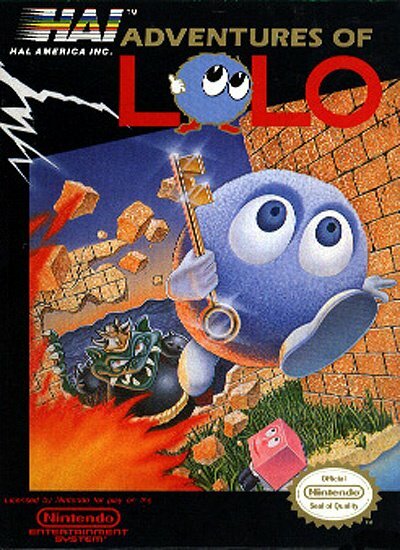 In 1989 when Adventures of Lolo was first released it got modest attention due to the quality of the game but as a brand never really made it big. However Lolo has been known to surface as a bad guy in some of the Kirby games so HAL haven't completely washed their hands of Lolo just yet it seems! 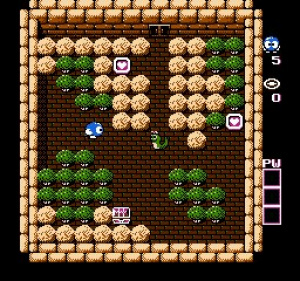 Each level is a puzzle where you collect the hearts littered all over the room. When you collect enough hearts then you can open the treasure chest to enable you to proceed to the next level. The difficulty is figuring out how to reach the chest. Monsters, boulders and various obstacles like one-way tiles are put in your way to mess up your plans. Like Solomon's Key this is one of the better examples of the classic puzzle genre which was so prevalent on the NES. Understandably the graphics and sound are now very dated but the gameplay itself is as fresh as it was all that time ago. One of the beauties of the puzzle genre is the games do not date in the same way as perhaps other genres do. The concept of the game may sound simple but the way the levels are designed is ingenious and will tax the old grey matter. When you finally crack a tough room the sense of achievement makes tackling the next room all worth it. If you are a fan of the puzzle genre do yourself a favour and check Adventures of Lolo out, you can't go far wrong! looks like a pretty cool game. This innovative thinking puzzle game from the 80s is still very much worth playing and has inspired many spiritual successors, so THANK YOU Lolo! 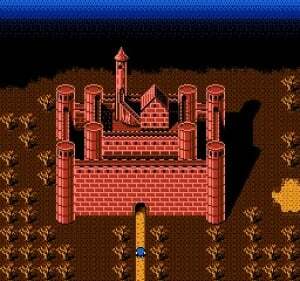 I remember this one being quite difficult as a kid. No obvious ways to kill monsters easily (that projectile was sketchy to use). Might check this out, 'cept I'm about to be EXTREMELY busy with MK8 and MGWT. @HyperSonicEXE I think Lolo 1 is the easiest by far, at least until the last few floors. I remember Lolo 2 being very difficult and Lolo 3 being somewhat unforgiving.